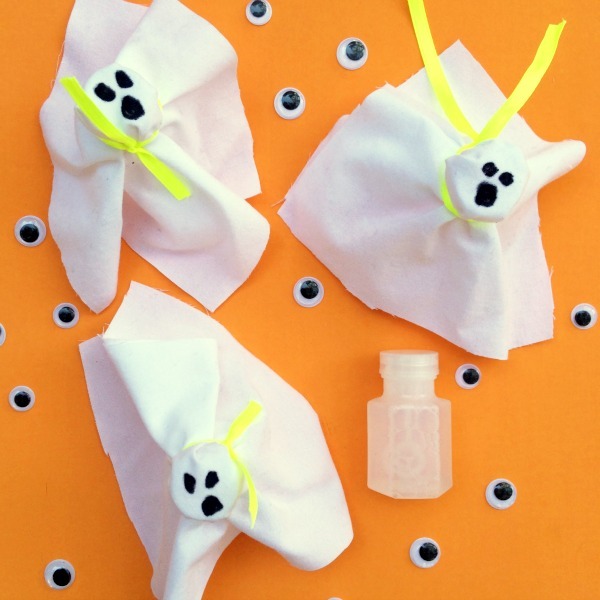 We’re talking non candy halloween ideas today! (Did you see the mummified raisin boxes?) 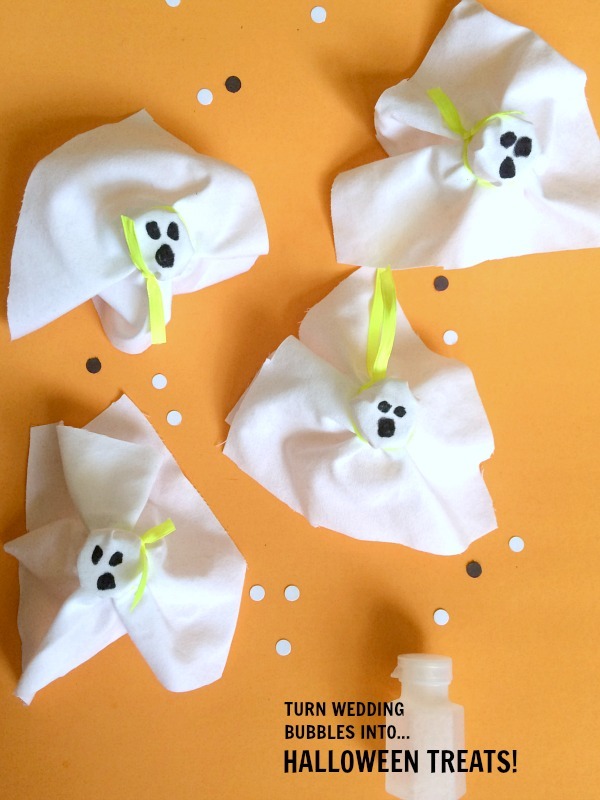 These little ghosts are made with Dollar Store wedding bubbles and an old sheet! Kids can likely make them all by themselves and best of all, they’re useful! 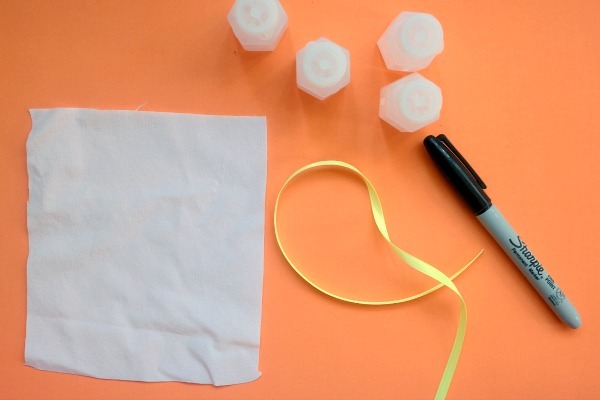 Use scissors to cut a 5×5 inch square out of your old sheet. This does not have to be precise, just eye ball it! Wrap the square over the bottle and tie the ribbon around the neck of the bottle. Then use the sharpie to draw on 3 ovals for eyes and ghostly mouth! For more non candy Halloween ideas, check out these mummy wrapped raisin treats and 21 more healthy Halloween snack ideas! These are really cute! Thanks for sharing with us at Throwback Thursday!